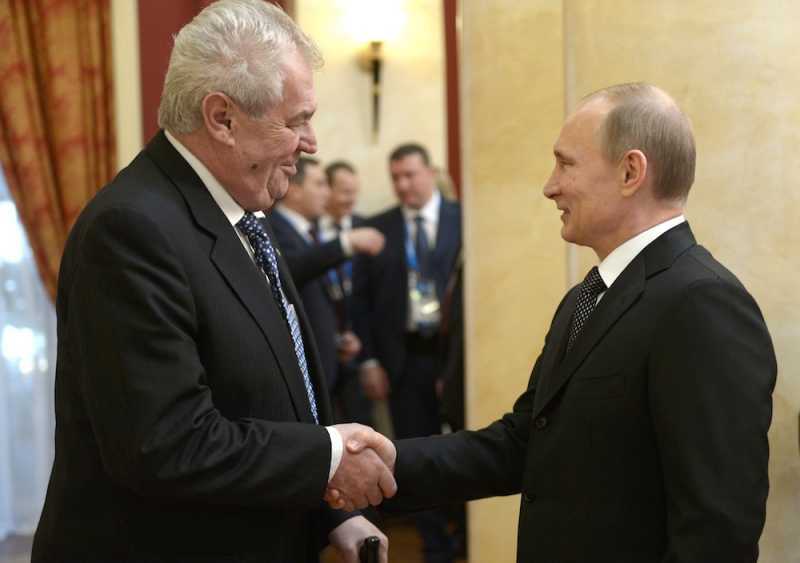 Prague, Jan. 2 (ČTK) — Czech President Miloš Zeman will visit Russia at least once in 2015, namely to attend the celebrations of the 70th anniversary of the end of World War II in May, ParlamentníListy.cz writes today, referring to his spokesman Jiří Ovčáček. Zeman has also been invited to a bilateral visit that could take place in the autumn. He has reportedly not accepted the invitation yet. Zeman, whom opponents have criticized for his accommodating stance toward Vladimir Putin’s regime, including on the Ukraine conflict, has been invited to the celebrations of Victory Day together with other statesmen. “The president has received an invitation to the celebrations of the 70th anniversary of Victory Day in Moscow on May 9, 2015. The president has accepted the invitation the same as he did last year in connection with the celebrations of the Normandy landings,” Ovčáček said. Opponents criticized Zeman for challenging the effectiveness of the sanctions the European Union imposed on Russia in reaction to the country’s annexation of Ukraine’s Crimean peninsula. Zeman also questioned the presence of Russian soldiers in eastern Ukraine. He defended his stance saying he wants to protect the interests of Czech exporters and investors in Russia. Prime Minister Bohuslav Sobotka (Social Democrats, ČSSD) met Zeman because of some of his statements in December. He told lawmakers afterward that certain “nuances” of opinion on foreign policy exist in other European countries, too. Sobotka said he considers concurring stances taken at EU summits, in NATO and the United Nations to be of key importance.